Dr Pepper Snapple Group has awarded Orange County Public Schools and the Orange County Police Athletic League a Let’s Play equipment donation valued at $68,000 as part of its partnership with Good Sports. The grant provides resources for physical education classes, recreational programming, and sports teams. 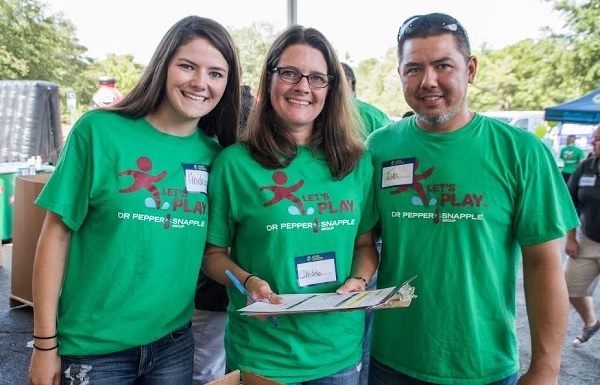 On May 20th, 28 Dr Pepper Snapple Group Orlando employees and family members picked and packed more than $68,000 of brand-new sports equipment. That’s around 2,025 pieces of equipment, including weighted vests, speed discs, baseball helmets, basketballs, volleyballs, baseball gloves, medicine balls and soccer balls. The donation will impact 312,300 kids over the lifetime of the equipment. The deserving recipient organizations were Orange County Police Athletic League and Orange County Public Schools middle and high schools. OCPS is an urban school district serving more than 200,000 kids daily. The district added 4,000 students in 2017 and it anticipates the growth to continue in 2018. 69% of students are eligible for free and reduced lunch. OCPS offers sports including basketball, softball, cross country, track, golf, swimming, volleyball, flag football, baseball, soccer, and tennis. The grant will impact all 19 high schools and 35 middle schools. 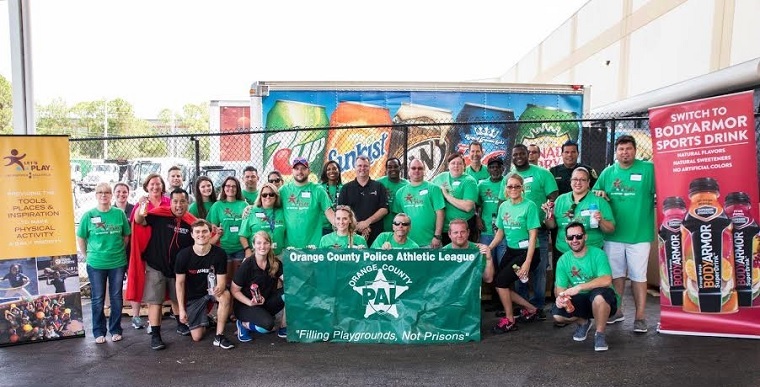 The Orange County Police Athletic League is a juvenile crime prevention program that provides athletic, recreation, and educational activities to at-risk children. PAL uses law enforcement officers as coaches, mentors, instructors, and role models to encourage kids to become healthy, productive, and law-abiding citizens. They have an extremely low participation fee of $10. Let’s Play is an initiative by Dr Pepper Snapple Group to provide kids and families with the tools, places and inspiration to make active play a daily priority. Through DPS’s partnership with Good Sports, an organization that provides donations of athletic gear and sports equipment to deserving organizations, Let’s Play has donated more than $4 million in brand-new equipment over the last three years to help kids become active.